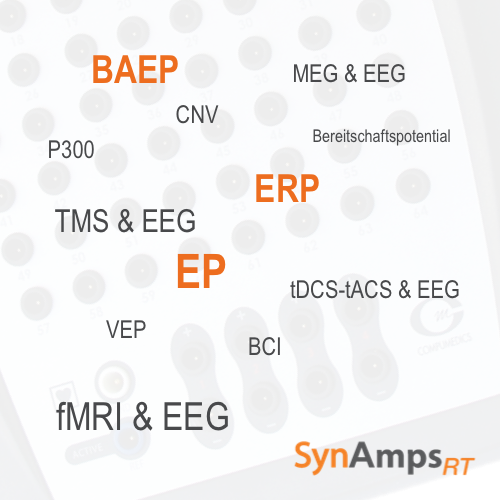 SynAmps RT is the one of the latest EEG, ERP and EP amplifier from Compumedics Neuroscan. Using the most current technology, the RT builds on the quality of the past SynAmps series of amplifiers and extends the specifications beyond anything that has come before. 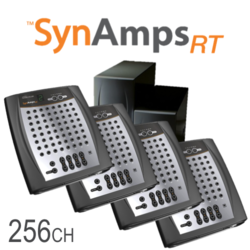 SynAmps RT sets a new standard in amplifier technology, providing a system suitable for recording everything from high sampling rate (20,000 Hz) Auditory Brain Stem recordings and Spike Spindles to true DC recordings of CNV and P300. 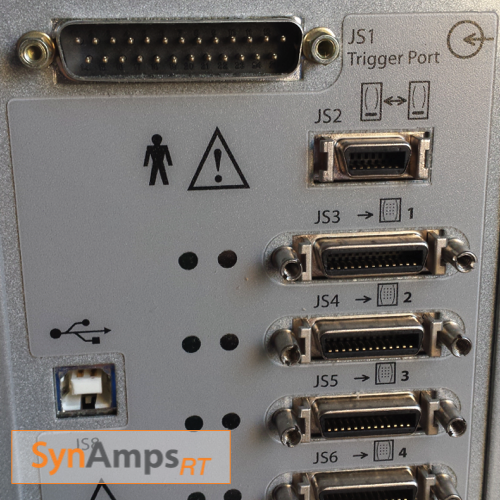 The SynAmps RT also serves as the recommended platform for recording in the MRI and MEG, in conjunction with the Micro MagLink RT system. 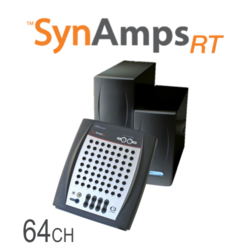 SynAmps RT includes clock synchronization circuitry, allowing the amplifier to synch with other devices, such as MR scanners, more precisely, without the need for very fast acquisition rates. SynAmps RT can be used in conjunction with the CURRY software, providing a complete acquisition and analysis system, or with the ACCESS SDK, allowing user’s custom built software to control and acquire data from the system. 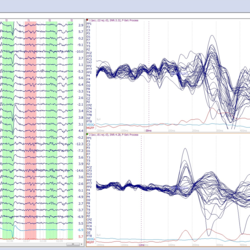 SynAmps RT can also be used with the STIM2 system for integrated and accurate stimulus presentation or will accept TTL pulses from third party systems. 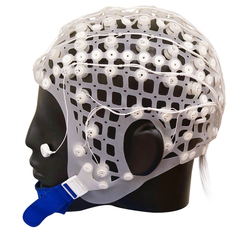 SynAmps RT can be used with the QuikCap, to provide fast and simple electrode placement or will accept any touch proof electrode as well. 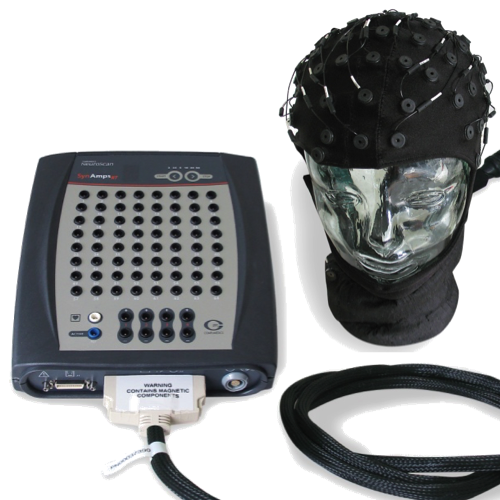 Grid, depth and microelectrodes may also be used with the SynAmps RT. The SynAmps RT system has CE Class IIb medical certification and FDA approval. Utilizing the latest technology, SynAmps RT allows for discrete monopolar and bipolar channels, enhancing the flexibility of recordings. Additional high level inputs are isolated to allow voltage level signals to be merged with the physiological data. Linking headboxes together allows more than 500 channels to be recorded. 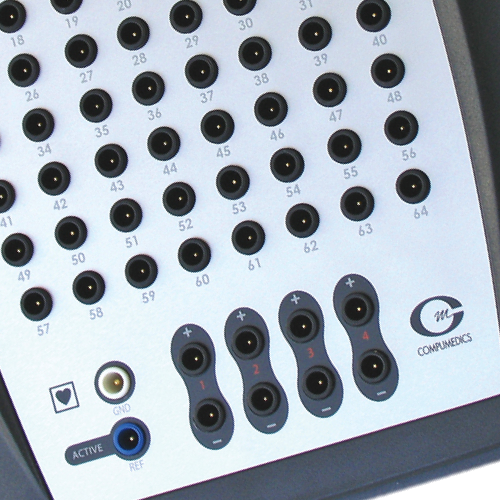 A 128-channel SynAmps RT EEG system consists of two headboxes, with 140 channels in total. A fully isolated, programmable bipolar excitation supply is also provided capable of supplying up to +/- 10VDC at 100mA to external bridges or measurement devices. Faster sampling rates allow for more accurate sampling of the analog data being recorded. Signals such as Auditory Brain Stem Response require these faster rates, while typical ERP measures benefit from increased resolution. Current technology eliminates the problems associated with sample and hold circuits. Utilizing a dedicated 24-bit A to D chip for each channel, the SynAmps RT enhances resolution and accuracy of each sample by ensuring a more valid measure of the data without decay or skew. The 24-bit resolution allows for even the most subtle differences in amplitude to be measured accurately. Many slow potentials (i.e., P300, MMN, CNV) have components that can only be measured accurately using a DC amplifier. DC amplifiers are also not subject to the AC coupled, filter time constant that distorts recordings after an artifact. The high frequency end of the SynAmps RT’s range allows for more accurate recording of the fastest frequencies. 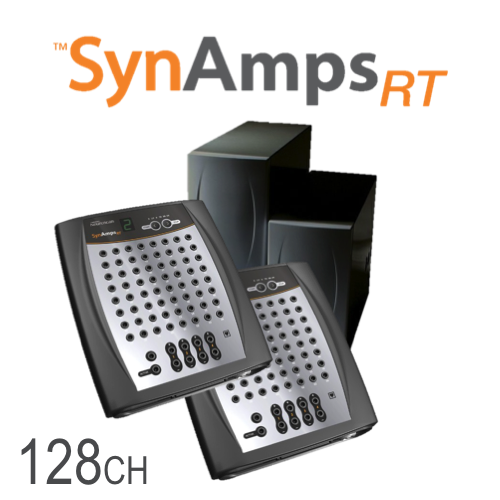 SynAmps RT sets a new standard for amplifier design, both in terms of safety and signal quality. Actively sampling environmental noise, and applying an antiphase signal to eliminate that noise, elevates the CMRR to unprecedented levels. This technology also provides increased patient protection. 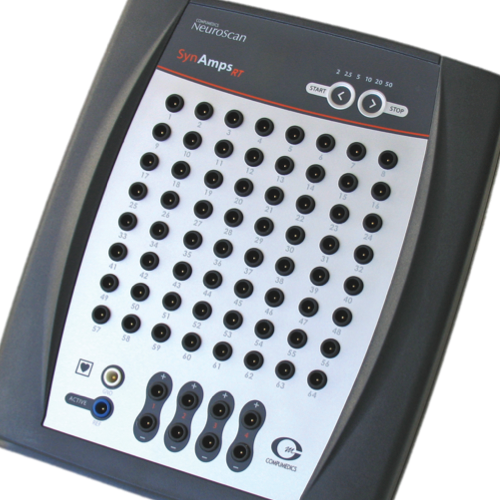 The same amplifier that is used in standard recording environments can also be used to record EEG data in the MRI by interfacing to the Micro MagLink RT system. 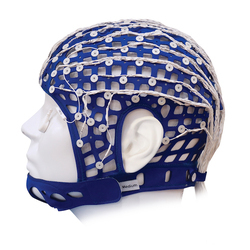 SynAmps RT was built with enough input range and accuracy to sample both the EEG and the fMRI artifact with sufficient resolution to remove the artifact and ensure the EEG is left intact. 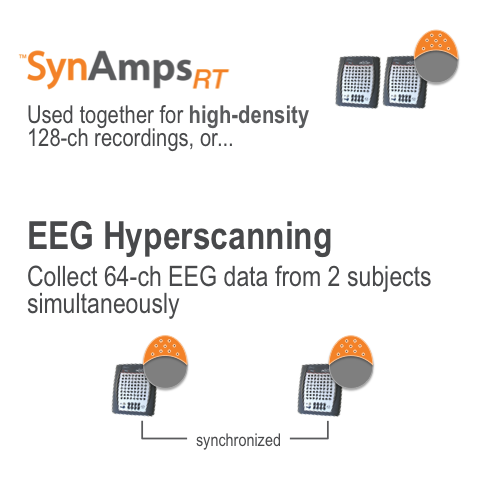 SynAmps RT allows you to choose on a subject by subject basis to prepare the scalp electrode impedance to the scientifically accepted levels or to record with high impedance, due to time or subject constraints. This flexibility allows you the option to maximize your data collection for each subject and collect the best data the situation allows. Digital amplifiers are typically small and thus portable, but portability also means unpredictable environmental noise. 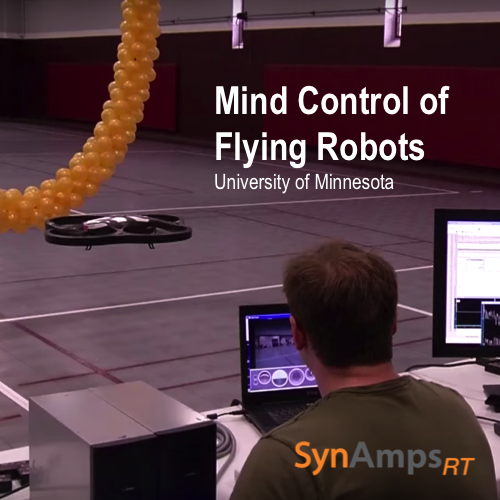 SynAmps RT has built in technology to function even in the worst electromagnetic fields. Custom solutions such as Mu metal shielding are available to ensure data quality even under hostile conditions. A maximum of four headboxes can be connected to a single system unit and allow recording of multiple subjects; one subject per headbox, maximum four per system unit, 2 system units can be combined to allow for 512 channels total or 8 subjects.